Prime Minister Narendra Modi launched a scathing attack on West Bengal Chief Minister Mamata Banerjee in her home turf and said ‘Speed breaker didi is having a sleepless night.’ PM Narendra Modi, addressing a rally at West Bengal's Cooch Behar on Sunday, said Mamata Banerjee is scared and frustrated. She backs anti-nationals who want two prime ministers in the country. “The more you chant 'Modi Modi', the more someone loses their sleep. Do you know who they are? 'Speed breaker'. The speed breaker of West Bengal - Didi. She is losing her sleep & is taking out her anger on her officers, on Election Commission,” PM Modi said in Cooch Behar. "Didi is scared and frustrated. She backs anti-national. You trusted her too much but she betrayed your trust," PM Narendra Modi added. "I am being abused in the political circles. 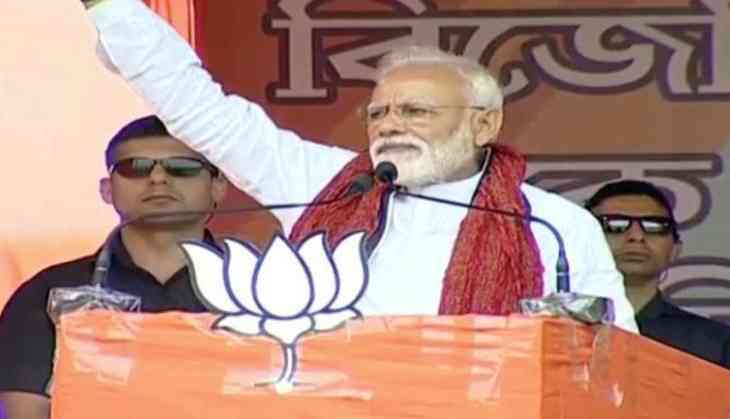 The way Mamata Banerjee is campaigning for the elections, it is also quite obvious that she is very scared," PM Narendra Modi said in West Bengal rally.